To ensure your watch runs correctly and gives you full satisfaction for many years to come, you are strongly advised to carefully read the advice below on how to properly maintain of your watch. So how do you maintain your watch? 1. On a daily basis, to preserve the long-term shine and perfect surface condition of your watch case, do not wear a bracelet or a chain on the same wrist as your watch. Do not expose your watch to extreme temperatures (above 60ºC/140ºF, or below 0ºC/32ºF). This exposure can reduce the service life of the battery and affect the liquidity/viscosity of the lubricants. Both mechanical and quartz watches are sensitive to severe changes in temperature. Avoid them as much as possible. We recommend not wearing your watch during sports activities such as tennis, golf, football, rugby, baseball or mountain biking, in order to protect it from vibrations that could damage the movement. Unless it is a specifically designed watch for sports. 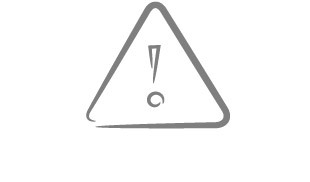 Avoid as far as possible any direct contact with products such as solvents and industrial or domestic detergents, as well as cosmetics and perfumes. They may damage the seals and alter the appearance of bracelets and cases. Placing your watch near electronic devices that can generate magnetic fields may affect its performance. The effect on a quartz watch will be of short duration only, and limited to the time it remains within the magnetic field. However, mechanical watches (manual or automatic) are more sensitive to magnetic fields. Watches are designed to withstand magnetic fields encountered in everyday life, but certain strong fields can magnetise steel components of the movement, particularly the balance spring. In certain rare cases, magnetised parts may stick together and cause the watch to run fast or even stop completely. In such cases, demagnetisation must be carried out at an authorised After-Sales Service Centre. The water-resistance of a watch protects the movement from dust, moisture and from any deterioration when fully immersed in water. The natural ageing of the seals, wear and tear (in the case of hand-wound models) or accidental impacts to the crown, may lead to a significant deterioration in water-resistance. This is why we recommend a water-resistance check about every 12 months, preferably before a summer vacation. Important: When a watch is immersed in water, under no circumstances pull out the winding crown or press the push buttons to change the date or start the chronograph.This could allow water to enter the case and damage the movement. If you notice condensation forming in the watch (particularly under the crystal), you should quickly contact a retailer or a service centre to remove the condensation and renew the water-resistance of the watch. To protect your watch from humidity and prevent water from entering the case, it is essential to fully screw down the crown. Be sure to avoid forcing it at the bottom in order to preserve the seals. After using the crown, ensure the water-resistance of your watch by pushing the crown back against the middle case. A watch is a delicate object that requires some care and attention. To preserve your watches original shine, we recommend having it regularly maintained. Even if your watch is water-resistant, we advise you to clean it with a soft dry cloth reserved for this purpose. Only the metal bracelet and the case back may, if necessary, be gently cleaned with a dry brush to eliminate any encrusted specks of dust. Important: Except when indicated to the contrary, watches are designed to withstand splashes of water. Nevertheless, if your watch is immersed in sea water, you should rinse it with a soft cloth soaked in lukewarm fresh water (the crown must be screwed down or pushed in) to remove any salt deposits that may irritate the skin. A metal bracelet does not require specific maintenance, apart from an occasional light brushing (and ideally at the end of summer). Use a soft brush, such as a soft toothbrush, to remove any specks of dust and grains of sand that may be embedded between the links. The service life of a leather strap depends on how often it is worn and under what conditions. To maintain it in good condition for as long as possible, you should avoid contact with water, greasy or acidic substances or cosmetics. Similarly, avoid prolonged exposure to sunlight or UV rays, that may affect its colour. We advise against using leather maintenance products to clean or polish a leather watch strap. In summer, a leather strap is more exposed to external friction and we recommend you temporarily replace it with a rubber strap or a metal bracelet suited to the model of your watch, if available. Important: If you wish to change a strap or bracelet, we advise you to refer to an authorized retailer who will be experienced in this type of operation. If it is not performed correctly, a defect and/or a breakage in the bracelet may arise, causing you to drop or lose your watch. The service life of a rubber strap depends on the conditions and frequency of its use. To maintain it in good condition for as long as possible, we recommend you avoid contact with greasy or acidic substances, and also with cosmetics. Similarly, avoid prolonged exposure to heat or to UV rays. UV rays in particular may affect the very nature of the material. A natural rubber strap can be kept in good condition simply by using soapy water then rinsing with fresh water (free of limestone). A self-winding mechanical watch has a sophisticated mechanism that rewinds the barrel spring with energy derived partly from the movements of the wearer’s wrist. The efficiency of the self-winding process is therefore directly linked to the motion of the arm on which the watch is worn. When fully wound, your watch has an operating autonomy of 40 – 60 hours depending on the model. The accumulated power reserve enables the watch to run throughout the night and retain a comfortable margin of autonomy. Nevertheless, if your automatic watch has been left unused for several days it will stop, or will have an insufficient reserve of power to ensure optimal accuracy. Before using it again, we suggest you wind it manually with about twenty clockwise turns of the crown to ensure that it will operate perfectly in all conditions. Similarly, a watch left unused needs its time and date displays to be reset, and to be rewound by about twenty turns of the crown before being put on the wrist. Certain models in our collection are equipped with hand-wound mechanical movements. A watch of this type is wound every day by turning the winding crown clockwise until it reaches a stop. Once this point has been reached, do not force the crown any further since there is a risk of seriously damaging the movement. The autonomy of a hand-wound mechanical movement is approximately 40 hours. After this point, the watch will stop running due to lack of power. The watch simply needs to be wound by hand again to ensure it will function for the amount of time indicated in its technical specifications. We suggest you rewind your watch every day, preferably in the morning, before putting it on your wrist. This almost ritual gesture is appreciated by watch purists as a moment in the day when they see the watch for what it is. Important: If your hand-wound watch, or a piece driven by an automatic mechanical calibre, is not worn for several months we advise you to regularly wind it by hand using the winding crown. This will prevent the oils from either congealing or flowing over the shafts of the movement. To avoid any problems, we advise you to protect it effectively by keeping it in a safe, clean and dry place. In addition, always remove the watch from your wrist before winding it. This ensures the crown stem remains fully straight during winding and avoids the risk of damaging the crown or the movement. Certain models in our collection are equipped with quartz movements. The time and date are set in the classic way by means of the winding crown. The service life of the battery ranges from 2 -6 years depending on the model. The majority of our quartz watches with a central seconds hand are fitted with an end-of-battery-life indicator (EOL). Approximately 2 weeks before the battery is exhausted, the central seconds hand starts to advance in 4-second jumps, signalling that the battery must be changed. You should never leave an exhausted battery inside the watch because as it becomes degraded it may damage the movement. Important: We recommend that you have the battery of your watch changed by an authorized After-Sales Service Centre. 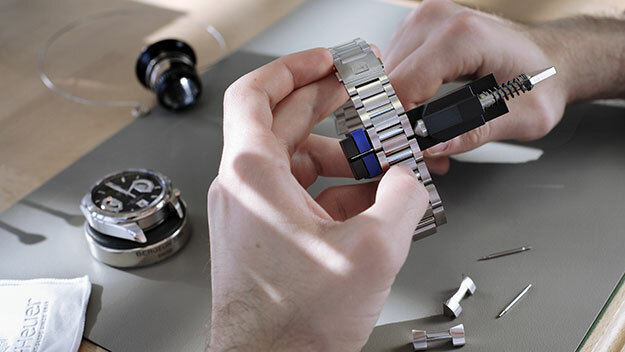 A battery change is generally combined with checking the operation of the movement and with changing the water-resistance seal in the case back. If you found this article helpful to you, and wish to know more about watches. simply follow us on Facebook or contact us.